New Delhi: The release of Bollywood film Mohalla Assi has been halted throughout the country by a Delhi court which on Tuesday prima facie found it hurting religious sentiments and said it should not hit the theatres till allegedly offending scenes and dialogues are removed. The court restrained the movie's director, producer and Central Board of Film Certificate (CBFC) from releasing the film on July three till further orders. The film stars Sunny Deol, Ravi Kishan, Sakshi Tanwar among others. 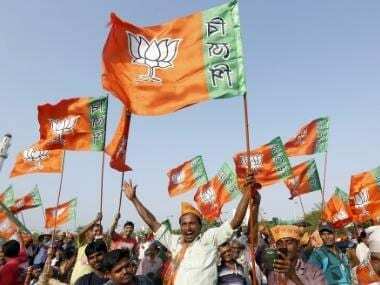 Noting that the trailer showed the movie to be based on the surroundings of the Assi Ghat in Varanasi on the banks of river Ganga, the court said, "in the entire trailer clip, characters have been shown using very filthy language. "In one scene, a character dressed as Lord Shiva is shown using filthy lanuage. Use of such language by Lord Shiva makeover is really hurting. 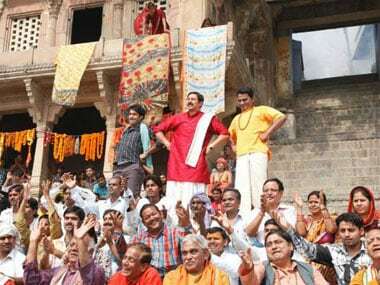 It may (hurt) religious sentiments of the people in case the movie is released and seen by public at large." "Therefore, at this stage, a prima facie case is made out that until the religiously hurting scenes and dialogues/words wherein the abusive and filthy language has been used, are removed, the movie should not be released," Civil Judge Kishor Kumar said. 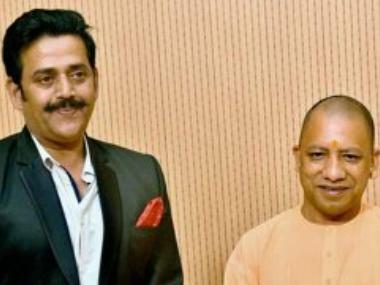 The court passed an ex-parte ad-interim injunction order against CBFC, the producer and director of the film and others saying they are "restrained from releasing the movie 'Mohalla Assi' all over India, scheduled to be released on July 3, 2015 till further orders." The court directed plaintiff Gulshan Kumar to get the order served to the defendants who have also been summoned for 13 July. The court passed the order on Kumar's complaint seeking to restrain the director and producer from releasing the film on the grounds that its characters were shown using abusive and filthy language. The plaintiff's counsel also showed the trailer of the movie to the judge and said that in a scene, one character dressed as Lord Shiva has been depicted using "very abusive and filthy language", charging few hundred rupees for snaps with people at the Ghat. They said the trailer has been available on social media portals since 12 June and the plaintiff saw it for the first time on his mobile on WhatsApp on 26 June. The plaintiff also sought to restrain the defendants from advertising the movie until the alleged objectionable scenes are removed from it.